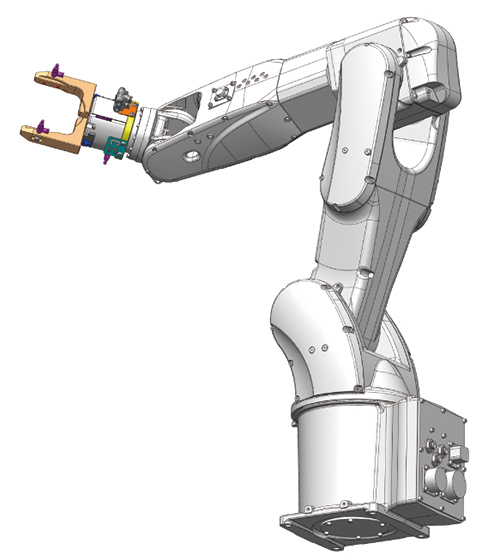 Robotic arms used in continuous production system. Can be used to automatically load/unload materials. 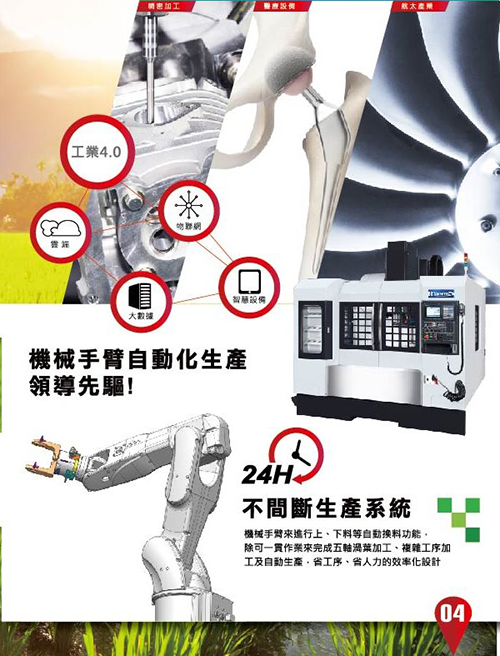 Can be used to complete five-axis vortex processing, complex processing and automatic production. It is designed efficiently to save process steps and human labors.